A paper map can be scanned and made digital. As an image, it does not know “where it is”, in terms of its spatiality. 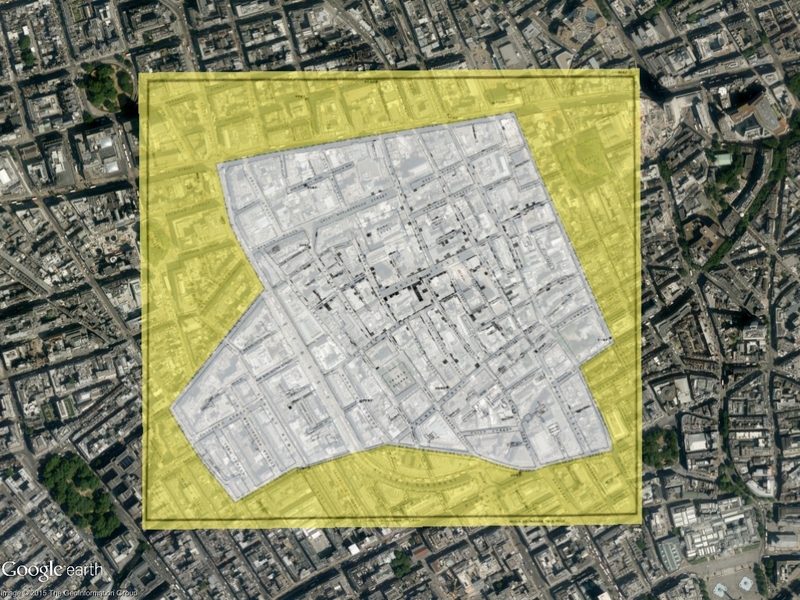 A process called “georeferencing” allows us to “spatialize” printed documents, and put them in the context of other spatial layers. 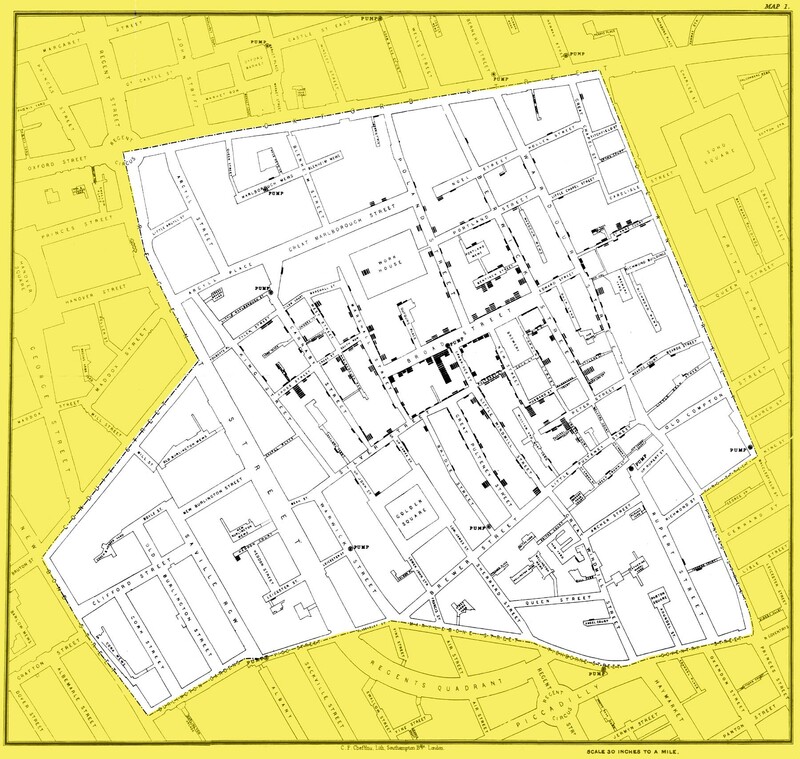 Here is an example of one of the most famous historical maps, the “John Snow Map” from 1854 that illustrates a Cholera outbreak that attacked London.